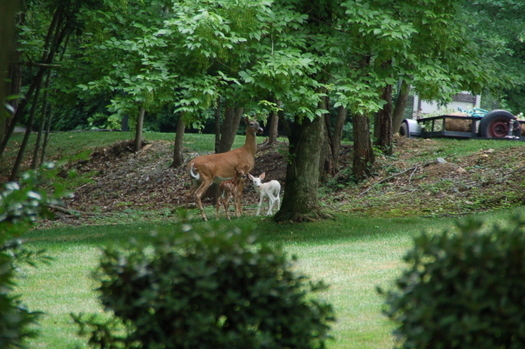 This is a picture of a Doe with her new twin fawns born on my property in July, 2008. One fawn is normal the other is albino. This picture was taken on my property when the fawns were about 7 to 10 days old. For more photos go HERE. The other two pictures were taken when the fawns were about 6 weeks old and growing fast.